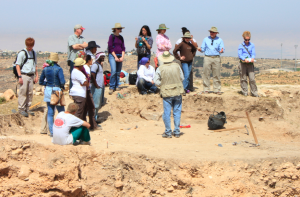 Those interested in participating in an excavation are welcome to join the team as a student enrolled through the Jordan Field School or as an independent volunteer. All participants will work on site Monday-Friday, with tours taking place over the weekend. Educational lectures will be offered in the evening during the week. For more information please visit the Field School section of our website.